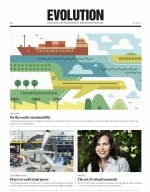 A new and revolutionary material developed by GHH-BONATRANS will boost reliability and reduce life-cycle costs of railway wheelsets. The next time you find yourself travelling by train and listening to the clatter of the wheels, take a moment to think about the skill and expertise of the people who made them. 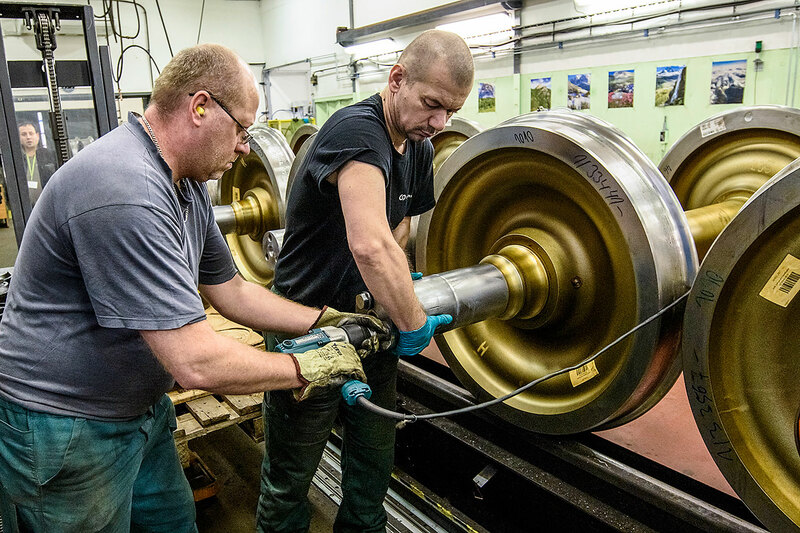 “Locomotive wheels are exposed to huge loads,” says Marcel Ujfaluši, head of business development and marketing for GHH-BONATRANS, one of the world’s leading manufacturers of railway wheelsets. The contact zone between wheel and rail is no bigger than the surface area of a one euro coin, he explains, and that area has to accomodate both the weight and guiding forces of the train, as well as transfer the traction power. “If those wheels are going to be able to take the strains, we have to use first-class materials,” he says. The benefits don’t stop at harder wheels. Ujfaluši knows what he’s talking about. From GHH-BONATRANS’ base in the town of Bohumín, tucked away in the north-east corner of the Czech Republic, it delivers wheelsets to major railway companies and rolling stock producers all over the world. BONASTAR®4BD is dedicated primarily to locomotive wheels and axle sets, but GHH-BONATRANS has developed the material to suit all types of passenger and freight wheelsets – high-speed intercity and regional trains, suburban and light rail vehicles, underground trains and freight wagons. 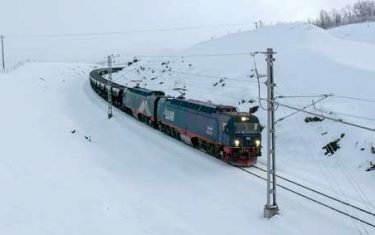 As a leading European wheelset designer and manufacturer, GHH-BONATRANS supplies a full range of products and solutions, such as heavy rail wheelsets for high-speed trains and locomotives and low-floor solutions for light rail, including resilient wheels and noise-absorbing solutions. Finished wheelsets for passenger trains at the Bonatrans production plant. To extend the service interval to 1.7 million kilometres, grease life is a crucial point. Bearing grease life depends on various factors, such as operating temperature, rotational speed, bearing size and cleanliness. 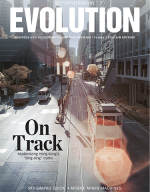 “The challenge was to find a way of reducing friction to obtain cooler running – and avoiding wear and tear, without negatively affecting the strength of the material or bearing service life,” says Jan Babka, senior SKF railway industry business engineer. Continuous design and manufacturing improvements have resulted in substantial reduction of the frictional moment in the bearing unit, and an optimized sealing arrangement keeps contaminants out of the bearing. To minimize wear, SKF applies its patented Xbite heat treatment technology to the bearing rings. With Xbite, the same hardness as conventional martensite hardening is obtained, but important additional benefits are higher toughness levels and extended fatigue life. From the beginning of its 200-year history, GHH-BONATRANS’ reputation for excellence has gone hand in hand with the attention it pays to safety and dependability. But preserving that reputation has never come easily. Successive generations of engineers from GHH-BONATRANS have battled to reduce the life cycle cost (LCC) of their wheelsets without compromising on performance. Now, GHH-BONATRANS’ research engineers are convinced that their latest development marks a quantum leap for the industry. The specially developed material is BONASTAR®4BD – a revolutionary wheel material that delivers 30 percent longer life in mileage terms, compared with wheels made of standard steel grades. BONASTAR®4BD enables greater resistance against rolling contact fatigue (the process of fatigue caused by rolling/sliding contact) and hence against the development of deformations on the wheel tread. Ultimately, that both boosts reliability and reduces wheelset LCC. Mounting a TBU on a wheelset. Indeed they don’t. 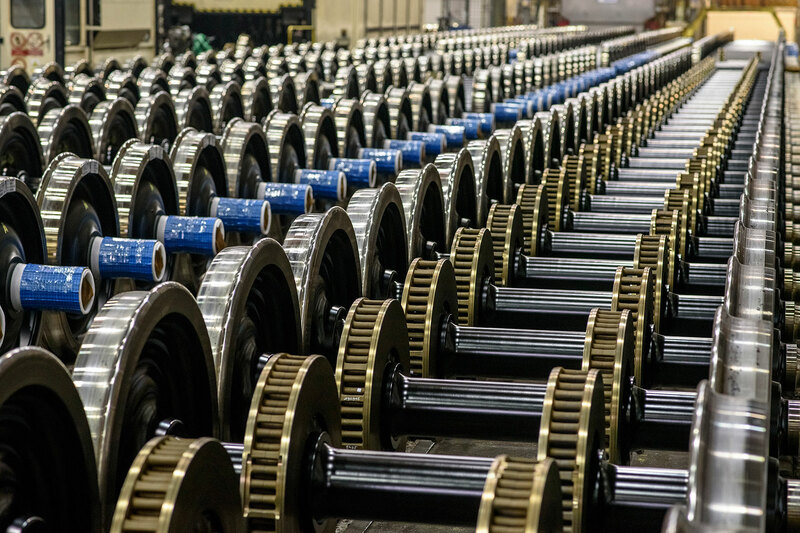 The longstanding relationship between GHH-BONATRANS and SKF, which supplies tapered roller bearing units (TBUs) for their wheelsets, has led to a technological marriage of minds that promises to lower LCC still further by minimizing the frequency of maintenance. 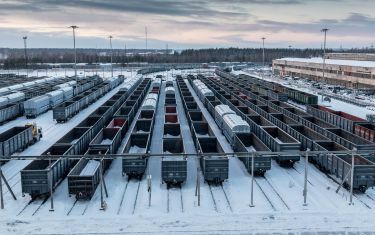 “Cutting the number of overhauls for a bogie during the life of a train is key to reducing LCC,” says Jan Babka, senior SKF railway industry business engineer. Wheelset with assembled SKF axlebox. SKFs TBUs are designed and manufactured to operate for up to 1.7 million kilometres between overhauls. This allows for bearing overhaul intervals that coincide with those of wheels made from BONASTAR®4BD. Continuous improvements to SKF TBUs have enabled SKF to reduce the frictional moment in the bearing by 30 percent. 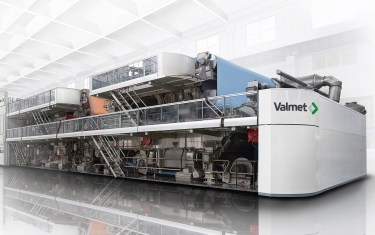 Lower operating temperatures­ lead to longer service life of the grease and hence considerably extended maintenance intervals, to meet the wheelset maintenance intervals. That looks set to deliver considerable savings to the end user, says Babka. 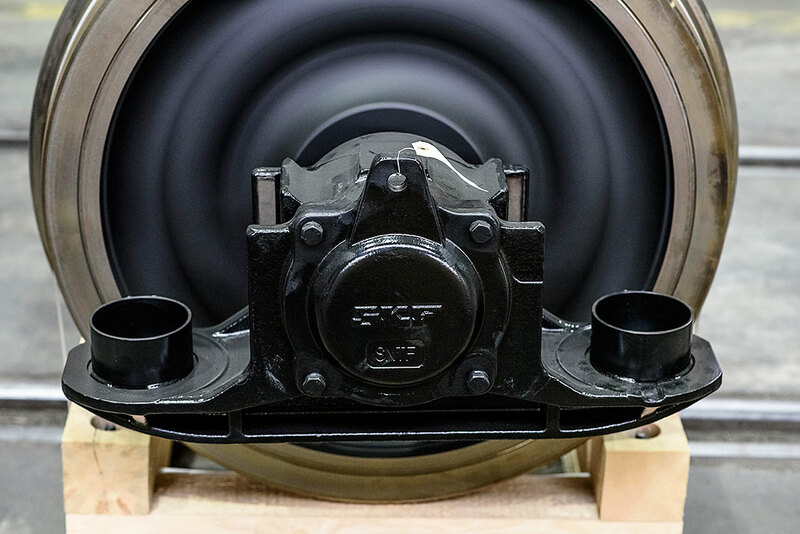 The combination of BONASTAR®4BD and SKF’s TBUs enables railway operators to extend the service interval and bring savings of up to 3,000 euros per bogie per year, he says.